Terry and the T-Birds are a talented variety band, available for parties, weddings, special events, clubs, theaters, festivals, cruises, casinos…anywhere live music is needed. 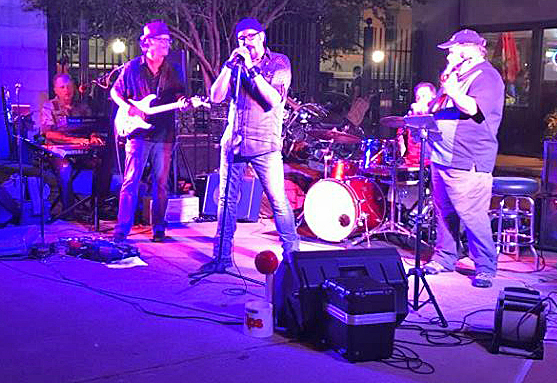 Normally a 5 piece band, we can perform in any configuration that meets your needs and your budget, from a duo (vocals/guitar or vocals/keyboards) to trio, quarter, our standard 5-piece, or the full production including horns and backup singers. Our set includes rock, rockabilly, country and pop songs. We can include material from our Elvis and holiday shows as appropriate for your event.